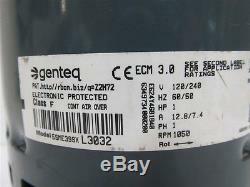 Genteq P/N 5SME39SXL3032 Customer # 101564-02 HP - 1 Voltage - 120 / 240 Amps - 12.8 / 7.4 Hz - 60/50 Phase - 1 RPM - 1050 Rotation - Bi-Directional Shaft - 1/2" x 3.91" Replaces - 72W45, 101564-02, 103070-03 Made in Mexico. Powered by SixBit's eCommerce Solution. 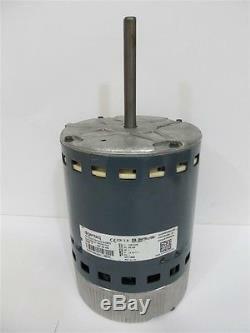 The item "Lennox 33W13, 1 hp, 120/240 volt, Variable Speed Blower Motor" is in sale since Thursday, August 11, 2016. 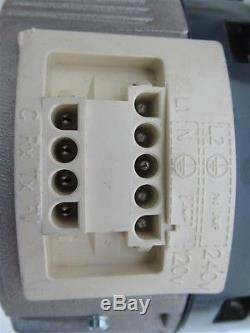 This item is in the category "Business & Industrial\HVAC\HVAC Parts\Other HVAC Parts". The seller is "fwoods1951" and is located in Chillicothe, Missouri. This item can be shipped worldwide.